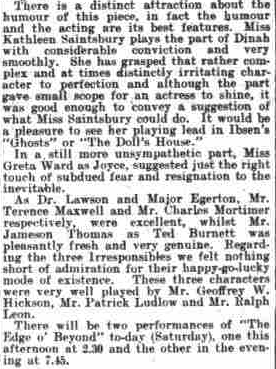 Article from the Devon and Exeter Gazette, 4 September, 1923. 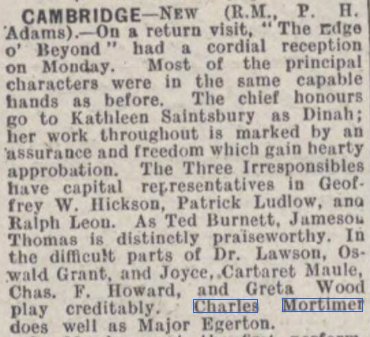 From The Thanet Advertiser - Saturday 21 July 1923. 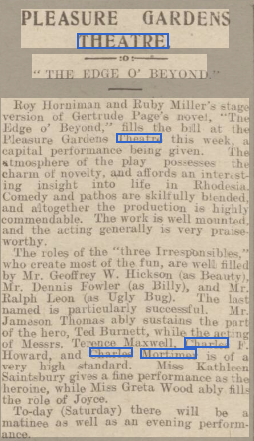 From The Northern Whig of 19 October, 1923. 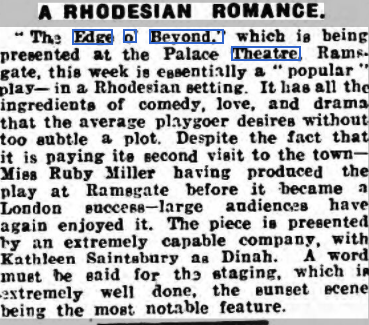 Article taken from the Hastings and St Leonards Gazette, on 14 July, 1923. 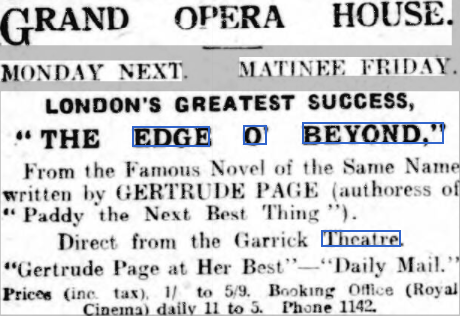 "Edge O'Beyond" had played the Garrick Theatre in London, from 9 August 1921 to 14 January, 1922. 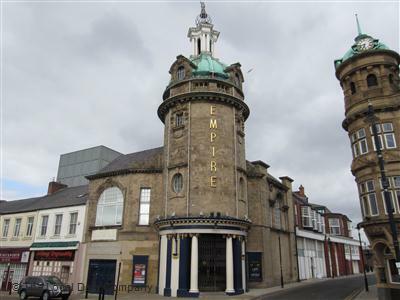 The play could also be seen at the Empire Theatre, Sunderland ( see below), from 10 December, 1923. 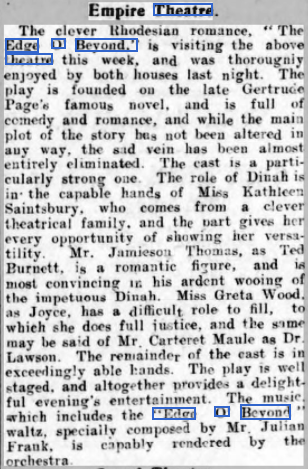 The cast included both Charles Mortimer and Greta Wood.